Ultimate Fighting Championship (UFC) returns to the Fight Pass digital network for its upcoming UFC Fight Night 84 mixed martial arts (MMA) event, which takes place this Saturday afternoon (Feb. 27, 2016) inside O2 Arena in London, England. 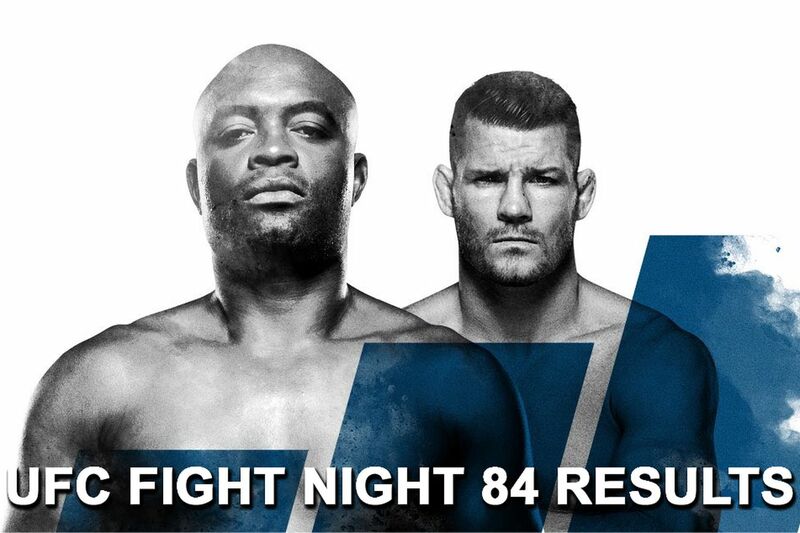 “Silva vs. Bisping” features the return of former middleweight champion Anderson “The Spider” Silva, as he collides with local hero and perennial division contender Michael “The Count” Bisping. In the UFC Fight Night 84 co-main event, ex-Strikeforce champ Gegard “Dreamcatcher” Mousasi throws hands with Brazilian stalwart Thales Leites. MMAmania.com will deliver LIVE round-by-round, blow-by-blow coverage of the entire UFC Fight Night 84 fight card below, starting with the Fight Pass “Prelims” matches online, which are scheduled to begin at 1 p.m. ET, followed by the remaining main card balance — also on Fight Pass — at 4 p.m. ET.